It’s been 46 hours since Robert Mueller submitted his report, and we still only know a couple things about it. We know Mueller isn’t indicting anyone else, which tells us nothing at all, because any further indictments will come from permanent federal prosecutors. We know the report is complex enough that Barr and Rosenstein have spent yesterday and today trying to parse what to initially release. So we actually don’t know anything yet, do we? But it is rather clear why Mueller is having to shut everything down and hand everything off right now, even if it’s gotten lost in the chaos. Even with all the other moving pieces of the Robert Mueller investigation, his overall goal and mandate was to identify and expose whatever crimes Donald Trump committed. Mueller went in a lot of different directions when it came to determining what Trump and his representatives were truly up to, from prosecuting Manafort and Stone, to targeting that foreign government owned mystery company, and so on. But at the end of the day, Mueller’s mission was to inform Congress and the American public about what Trump did. This means that at some point, Mueller was going to have to issue a report about Trump – and he was always facing a balancing act. On one hand Mueller surely wanted to issue his report as soon as he realistically could, because America deserves to know what Trump did, and deserves the opportunity to use that information to put a stop to his presidency. On the other hand, Mueller had to wait until he’d amassed enough information about Trump to make his report meaningful enough that America could put it to use. Some folks think that new Attorney General William Barr came in and simply ended Robert Mueller’s work, and that Mueller simply gave up and packed it in. But this makes zero sense on so many levels. Barr doesn’t have a magic wand. For that matter, his own announcement letter on Friday reveals that he didn’t put a stop to anything else Mueller wanted to do. More importantly, Mueller is neither passive nor an idiot. To think that he was instantly bested by Barr, and simply rolled over, is to have paid no attention to anything that Mueller has done during this investigation, or during his career. No, this is all about Mueller finally reaching a point where he said to himself, “Okay, I’ve got enough about Trump, it’s time to fill America in about it without making them wait any longer.” But Mueller also had to have known that once he filed a report, which at the very least would expose some Very Bad Things that Donald Trump has done, Trump would quickly move to try to fire Mueller and shut down his office in retaliation. At that point, what would happen to Mueller’s ongoing cases? They’d all be in limbo. 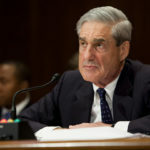 Because Robert Mueller is smart, he’s known all along that once he reached that point where he was ready to file a report about Donald Trump, he would have to immediately dissolve his operation and hand everything of to permanent federal prosecutors, in order to make sure his ongoing criminal cases did remain intact. Mueller announced yesterday that he’s handing the Rick Gates case off to the U.S. Attorneys’ office for Washington DC. There are certainly other handoffs underway as well; it’s just that those handoffs won’t be publicly announced if the cases aren’t already in public view. Put another way: various House Democrats have publicly asserted that multiple Trump-related people have committed perjury while testifying before Congress, and they’ve turned over all of those transcripts accordingly. Thus far the only related perjury indictment we’ve seen has been against Roger Stone. Does anyone really think that Mueller went to the trouble to charge Stone for perjury, but couldn’t be bothered to put things in motion such that the other alleged perjurers will also be charged? That’s laugh out loud absurd, and it’s before getting to the other higher profile Trump-related crimes that have been committed in plain sight. Robert Mueller once prosecuted an Enron executive’s wife in order to force them both to flip on the company. Mueller once handed a relative slap on the wrist to a hit man who committed nineteen murders, in order to take down a mafia boss. Does this sound like a guy whose criminal investigation of the President of the United States has ended up consisting merely of charging the peons and then giving up? Come on. Mueller has more coming – a lot more – from somewhere, somehow. The kicker is that we still don’t know what his endgame is. We’ll start to find out soon enough.